belarc advisor v.7.2.24.21,autohotkey v.1.0.48.01,rj texted v.5.0.1,currports v.
Released new updated of the free utility Belarc Advisor, which reports a detailed information about software and hardware installed in your computer shows obtained results in HTML page. For good work, it is necessary to have IE not lower 4 or Netscape 3, also are supported Opera, Mozilla and FireFox. 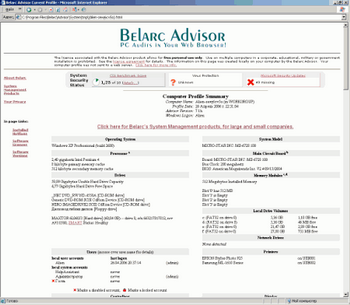 To download Belarc Advisor v.7.2.24.21 click the following link: (1,7 Mb., Freeware, Windows all). Updated freeware program AutoHotkey, which makes it easy to reassign commands and characters that are entered from keyboard, joystick or mouse when you click or move data devices. 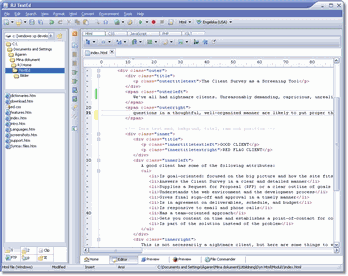 The utility has a powerful engine and an easy and obvious scripting language. This version fixes, new features, improved performance. To download AutoHotkey v.1.0.48.01 click the following link: (1,9 Mb, Freeware, Windows All). RJ TextEd is a free text and web editor with many useful features. The program can provide expression works properly with Unicode, has advanced editing options. RJ TextEd handles ASCII and binary files, a built HTML wizard, a simple FTP client is able to convert files from one format to another (supports operating systems Windows, Unix/Linux and Macintosh), and much more. To download RJ TextEd v.5.0.1 click the following link: (8,4 Mb, Freeware, Windows All). CurrPorts is a small free utility, which shows list of all open TCP/IP and UDP ports in local machine. For each port present information about initializing process (name, path, version, file, etc), starting time and corresponding user. Also CurrPorts allows to close undesirable TCP connection, kill processes, save information in HTML, XML or text file. Windows vulnerability scanner is a free utility, which scans Windows operating systems to detect possible vulnerabilities in system safety OS and select corresponding patches for their eliminations. Program is compatible with OS Windows XP (Home & professional), Windows 2000 Server & professional and Windows 2003. At the work end, Windows vulnerability scanner shows a list of discovered vulnerabilities, the appropriate danger level and reference to patch needed to avoid them. There is a full log file about WVS activities and work results..
To download Windows Vulnerability Scanner v.1.33 click the following link (1,2 mb., Freeware, Windows all). Released new Trojan Remover update, a very popular software, aimed exclusively to capture and destroy Trojans, which were passed or could not be removed by usual antiviruses. In this version was improved detection and removal processes and new algorithms of detection were added. Released new version of one from best free browsers, based on an interest explorer engine : maxthon (ex MyIE2). Supporting supplementary tabs and having its own RSS aggregator, Maxthon 2.0 also contains useful functions, which considerably increase work convenience with the browser: support mouse movement and moved objects, database for auto filling, hot keys and nicknames for addresses, book marked links, ads filter, searching a tool and other functionality which can be additionally enlarged by plugins and Addons (accessibly several 10 plugins). Furthermore, Maxthon supports skins. The maxthon second version considerably differs from versions 1 and MyIE2, preserving in this case its best sides. Maxthon 2.0 found its own face and set new functions. Is considerably optimised advertisement filter- now Maxthon cannot simply block the objects addresses in network, but also scan the HTML- code as Admuncher or Proxomitron. Updated the utility Image for Windows, which allows to make a virtual image of entire hard disk partition or its part, and then save it on other disks or directly create boot CD/DVD disk with necessary information. 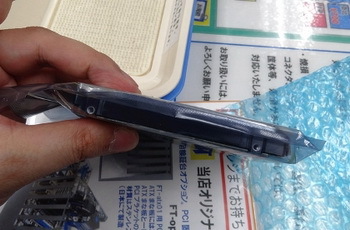 Thus, in case of some problems you will be always able to restore information from reserve copy. 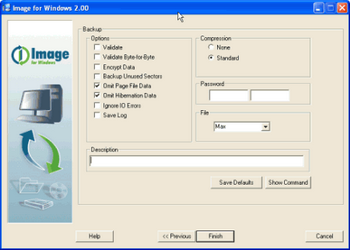 To download Image for Windows v.2.26b click the following link: (5,5 Mb., Shareware, Windows all).